This kitchen is a perfect example of the way we go above and beyond for our clients. In this case it meant driving to Seattle to pick up a beautiful slab of black granite so the homeowners could have the perfect counters. These clients regularly host their large extended family, and their overworked kitchen needed an update with a lot more space. 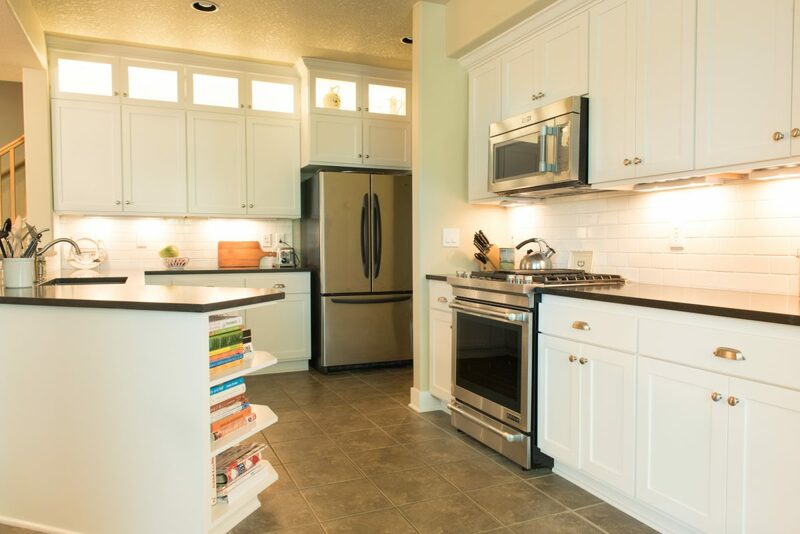 We worked with the existing floors and refaced the lower cabinets to minimize costs, then built a pantry and new upper cabinets with under-cabinet lighting, and added a new backsplash. The result is an open kitchen that holds everyone–and happy clients.